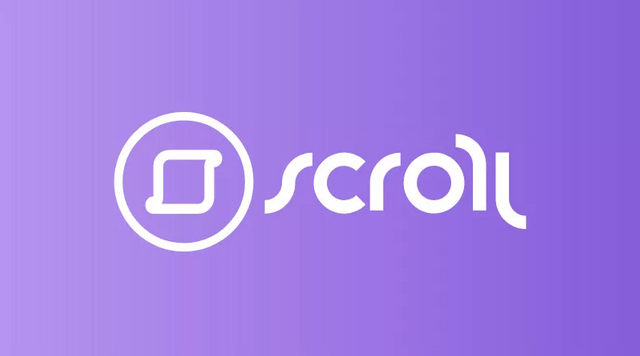 Scroll Network is a semi-private blockchain that allows you to store & transfer large or small data within the blocks. Scroll is not just a layer on-top of centralized server for security such as siacoin and storj. Data within Scroll is stored within distributed nodes. The Scroll Tokens utility comes in place while you’re storing and transferring files through the network. Since all data is on-chain, there is a need for gas to compensate the transaction. Scroll Tokens are used as gas to have any data moved or stored in the network. As more clients are using the network and more data is being transferred, the demand for the tokens from the network increases. Most blockchains run into the issue of not being able to scale efficiently if they were to meet mass adoption. Scroll Network is built for adoption so new users of the network only benefit the speed and efficiency of the network, due to Scroll’s hypernode protocol. The network recognizes the most efficient route to transfer the data, so each time you send a file it learns how to send the next file faster and more efficient. There is currently no other blockchain that is storing data on-chain, they all rely on 3rd party servers to keep their user’s data safe. If you were to look at the cost of sending data over ETH or BTC, it would be over $100,000 per GB. Currently the gas fees for just sending financial data with ETH and most cryptos is already insane. With Scroll, you can send a GB for less than $0.01. The Data stored with Scroll is constantly being distributed to all nodes in the network, resulting in the network sustaining ideal uptime with updated real-time data, so you never have to worry about not being able to access your data. The Scroll network remastered traditional data architectures to promote a new data standard. Scroll believes today’s standards for data storage (using centralized servers) falls short as it is prone to inevitable performance inconsistency, data loss, latency, downtime, and data integrity risks. Currently where all centralized servers lack is where all Scroll users benefit. These are all things that can lead to mass adoption of the network. SlideDrive is the first DApp on the Scroll network that is built for mass adoption. SlideDrive can lead to mass adoption for all of blockchain as this app has a real use-case for anyone who shares files (literally anyone who has a phone or computer). SlideDrive allows users to share files seamlessly between any device. Data shared with SlideDrive is never stored in a server and you give up no rights to your data. When files are kept in the cloud, they are stored on a company’s server waiting to be stolen in the next data breach. When you use google drive or dropbox to share files, you’re giving them a license to do whatever they want with your files, whether it is to make money off your data or to simply use it for analytics. With SlideDrive only you own the rights to your data and no one else can see it. To make SlideDrive even better, there are no file size limit or speed limit, so you don’t have to worry about the files being too big. EX: One example of a need for SlideDrive is trying to send photos or videos to a friend or another device. When sending a photo or video over text, it may take forever, might crash, and when it reaches its destination the content will have lost most of its quality. Even though the file has reached its destination, it is still being stored somewhere in a server, that you can’t even access. Ex 2: Let’s say you want to use google drive or dropbox to share a file to another device. You first have to upload the file to google drive or dropbox, which might have a size limit or speed limit. When it’s uploaded to these services, you lose a lot of the quality of the picture or video. Then after it’s uploaded, you need to download the file from the google drive or dropbox cloud to the other device. Now that the file has transferred again, it loses even more quality and you also just gave google drive and/or dropbox the right to do whatever they want with your file, and it’s permanently in a 3rd party server that you can’t access. If you used SlideDrive to send the photos or videos, you lose none of the quality, you keep all the rights to your data, there are no file size limits or speed limits, it’s not stored in a 3rd party server (waiting to be breached), and it’s much faster and efficient than any of the competitors. SlideDrive 2.0 will have private video chat, voice chat, scroll as backend, and more. Some challenges they are currently facing are not being so much on social media like Youtube, and having the exposure most cryptocurrencies have. They don’t have a large following but the following they have is extremely passionate. Scroll has one of the most engaging twitter communities compared to the rest of crypto, but outside of twitter they are lacking. Being a passionate member of the community, this is something I’d like to do to help. I have considered making a video for them, but I’m not confident enough. Another challenge they face is people may brush over the project because the team members are younger. They are either in college or just out of college. Many of the largest companies in the world were founded by people who either just got out of college or dropped out of college, so for people to ignore the company based on “education” is not a valid point. Each member has a lot of experience in their field. ***I spoke with the team about their future goals about expansion and they are making plans on expanding the market to Europe, Asia, & more. They are also expanding their social media team too as they are focusing on that too. This project is very new which explains why they haven’t been seen many places yet. They are working on growing their presence on social media through influencers & they have a lot of potential to become huge in my opinion… they just haven’t been seen yet. Originally published at altcoinbuzz.io on OCTOBER 11, 2018.